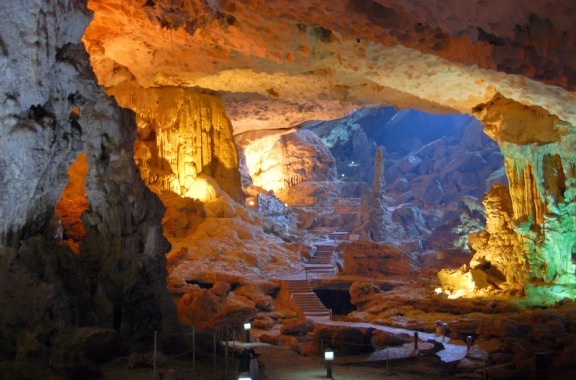 Halong bay is located in the northeast of Vietnam. It is known as “The Bay of Descending Dragons”. 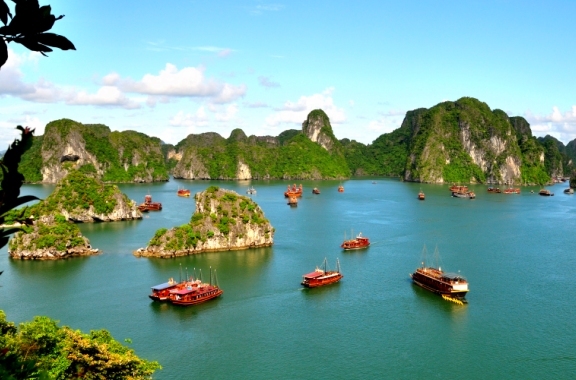 Halong Bay Vietnam is made up of nearly 2,000 islands and islets of various shapes. Named a UNESCO world heritage site in 1994, and in 2012 as one of the New Seven Wonders of the Natural World, Halong Bay Vietnam is a place where your imagination can run wild in between the local fanciful legends and viewing the mysterious landscape. From uninhabited white beaches, fresh sea-food, unparalleled wildlife, deep caves, world class cruises, and unique karst formations, this is a destination that has it all for any type of traveler. 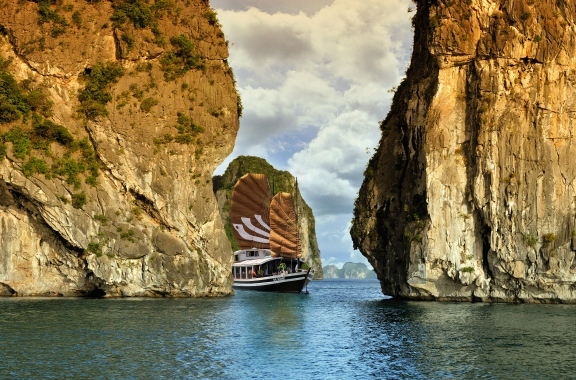 Furthermore, Halong Bay is 165 km east of Hanoi and easily accessible by land, water, and air. 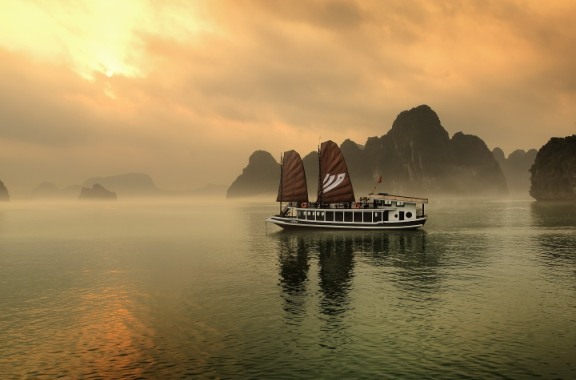 Speaking of Halong Bay Vietnam, one must above all mention the beauty of its water and sky. Majestic and mysterious, inspiring and appealing: words alone cannot do justice to the natural wonders of this World Heritage Site. With over 2,000 incredible islands jutting out from the emerald waters of the Gulf of Tonkin that make up a vision of breathtaking beauty, Halong Bay is pure art and a priceless collection of unfinished sculptures hewn by the hand of nature. Looking from above, Halong Bay Vietnam in our eyes appears to be an enormous and expressive picture of Mother Earth. By moving around, you feel as if you are walking in a fairyland with many petrified creatures surrounding you. There are rocks and even islets which form various extraordinary shapes—a Dragon, an Old Fisherman, and much more. 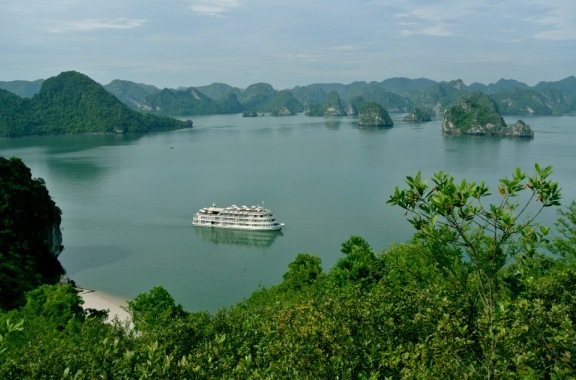 Book your private tours to Halong Bay Vietnam with VietnamStay Now!